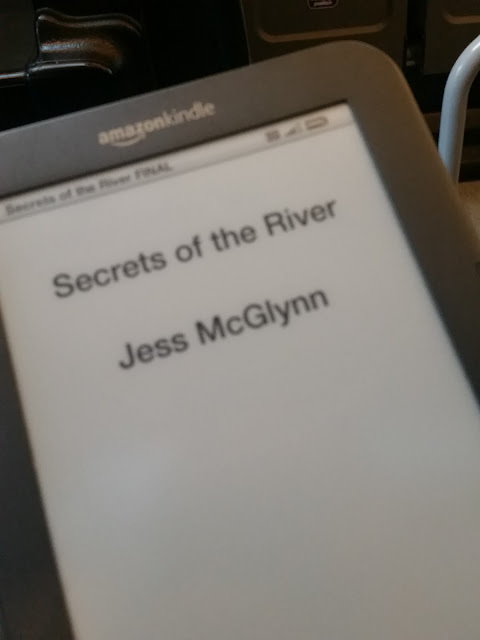 This is the début novel from Jess McGlynn and she kindly send me a Kindle copy of the book to read & review. Isabelle escapes to France to stay with her sister after a trauma at home, she soon gets caught up in village life and it seems like everyone has their own secrets. i really Enjoyed the pace and the element of mystery, it really did keep you guessing all the way through to the end of the book. Eric Isabelle's brother in law. He really caution my attention as he was initially described as quite a tough business man who was to busy for his family but as you got into the book he came across as a really go guy. He was there to listen to Isabelle he gave her good advice and he knows everything that is going on in the village. Did the characters feel real? Another character was described as tall and stocky or similar and i see stock as short and a little tubby,so i couldn't form a picture in my mind. what was your favourite parts of the book? Isabelle being drunk in Hugo's kitchen was one of my favourite parts of the book. At this point I thought this would make a great TV series. Did the story grip you? I hate this part of any review but it's a necessary evil. There are a few bits that i didn't like about the book and i think another round of editing could sort out some of my issues. I know these things could just be me but i just want to mention them. The were two users of the term "nine to the dozen" both times referring to someone talking quickly. The term should be nineteen to the dozen, nine to the dozen would be talking slower than average rather than quicker. Another thing that didn't sit right is the names of the French people, i struggled to say the French version of the name and when they reappeared later in the book i had no ideas who they were and kept thinking of them as English relatives of Isabelle. For example Richard, he's French so his name would be pronounced RecArd not rich-ard. I just think it would have been better to give them more French sounding names. I know some people would say no to that as it might be cliché but that's my personal preference. I'm not sure if some chapters has been cut or edited down as ì felt it skipped a big chunk and i had to go back and reread and was still confused for a good while, this could have been me misreading it but it seemed to moved ahead really quickly at one point. Without giving anything away, I think the ending was pretty much as I'd predicted which isn't a bad thing as it can be good to know you were thinking along the same lines as the author. Yes, it was really well written, as I've mentioned there are a couple of points which are confusing as things seem to skip and there are a lot of characters and some f them I'd like to know more about them and would be happy to read more books with the other character's stories. This would be a great holiday read and I've left it on the kindle to potentially read again while I'm away. I really liked the way the book kept us guessing. There was an interesting mix of characters and as you started to get sucked into a story it changed and made you want to read on to get back to where you left the last person. Other than the use of "nine to the dozen" I'd have liked to include some flash back chapters for Isabelle and maybe Hugo to keep up the mystery and give us a bit more to their back stories. Who would this book appeal to? This book would sit in the chick lit genre and while there is love and romance it's not the main focus of the book, there is mystery and everyone has a secret or three. I think if you like Jenny Colgan, Milly Johnson books this would appeal to you. 4 - It was a really good read, a few things I'd change to make it a perfect 5 but I really think Jess has a promising future and I will be looking out for her next book.